Attend an evening of free fun during School Vacation Week on Thursday, April 18 from 5:30 – 7:30 p.m.! 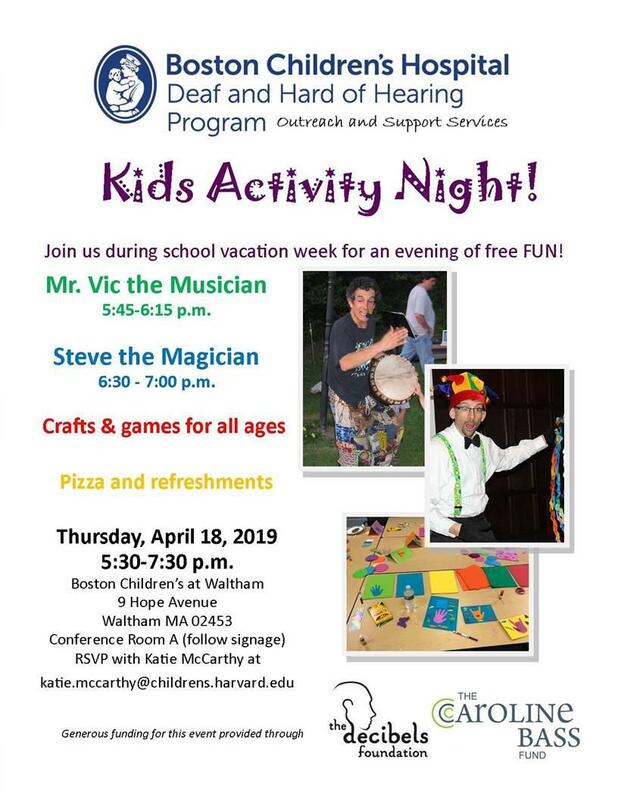 Mr. Vic the Musician will wow the kids with fun music instruments that they can play along with and Steve the Deaf Magician will do magic tricks that’ll mesmerize them! We will have games and crafts for all ages. Pizza and refreshments will be provided. RSVP with Katie McCarthy at Katie.mccarthy@childrens.harvard.edu.